Senator from Oregon. He has served 24 years in the Senate. What policy areas does Sen. Wyden focus on, as expressed by his press releases? Learn more. What topics does Sen. Wyden talk about in his recent press releases more often than other members of Congress do? Learn more. What members of Congress use language that is most similar to Sen. Wyden in their recent press releases? Learn more. Reason published an article about Sen. Wyden: Zuckerberg's Plea: Regulate Me Before I Violate People's Privacy Again! 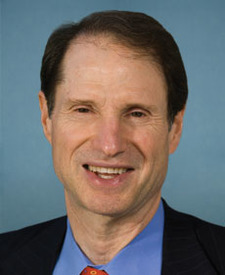 S.1192, a bill sponsored by Sen. Wyden, was read twice and referred to the Committee on Finance. S.1192: A bill to set minimum standards for tax return preparers. Kaiser Health News published an article about Sen. Wyden: Can Someone Tell Me What A PBM Does?